If you want your breakfast to keep you satisfied, let's try and keep the mistakes to a minimum. But remember: Any breakfast is better than no breakfast. Your blood sugar level drops down in the morning. You need food that can provide you energy to get through the morning. Body needs fuel to keep it running and the night is the longest gap in the refuelling process. To make sure your metabolism keeps on going you need to have something within 2 hours of waking up. Researchers have found that those who eat breakfast tend to maintain and lose weight. Though people skip breakfast in the hope of losing weight they tend to eat more during lunch or even choose unhealthier options later on which results into weight gain. Skipping meals leads to a hyper insulin response when calories are consumed later on. That means the level of insulin in blood is more than the glucose level which can lead to metabolic disorder. This in turn results in to fat accumulation. "A healthy breakfast is the most important meal of the day, says Dr Jyothi Prasad, chief dietitian, Manipal Hospital, Bangalore.Theres a nearly ten-hour long gap between dinner and breakfast, during which the body is on fast mode. As the name suggests, breakfast is the meal you eat to break that fast, explains Dr Prasad, It refuels your body with essential nutrients to kick-start your day. So dont skip it. Hungry employees and students dont do any good at work/school. When you are hungry you are irritable and disinterested which reflects on your work too. Breakfast helps you to wake up and makes you attentive. If you have breakfast you can burn those calories early! How is that? Well, instead of going hungry till lunch and then hogging on something loaded with calories with fewer hours left in the day to burn it consider refuelling yourself early and getting enough time to burn those calories. If you have kids, you always want to set a good example for them. By having breakfast on time you will show the quality of leadership by example. There are food which we have only as a part of our breakfast like cereals, fruits and milk. If you bypass your breakfast you might never get those nutrients. Oh yes! 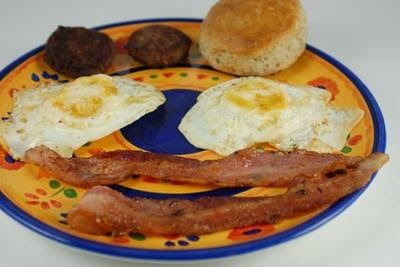 If you have been skipping breakfast and are in bad mood, you probably should know why. Not having breakfast makes you grouchy. You might not even realise it and keep wondering why youre so irritable! * Never have dessert for breakfast, it will cause blood sugar loss later on and you will be tempted to eat even more. *Read the labels carefully, even if it says nutritious look into the details and understand if your body needs that kind of food to start the day.